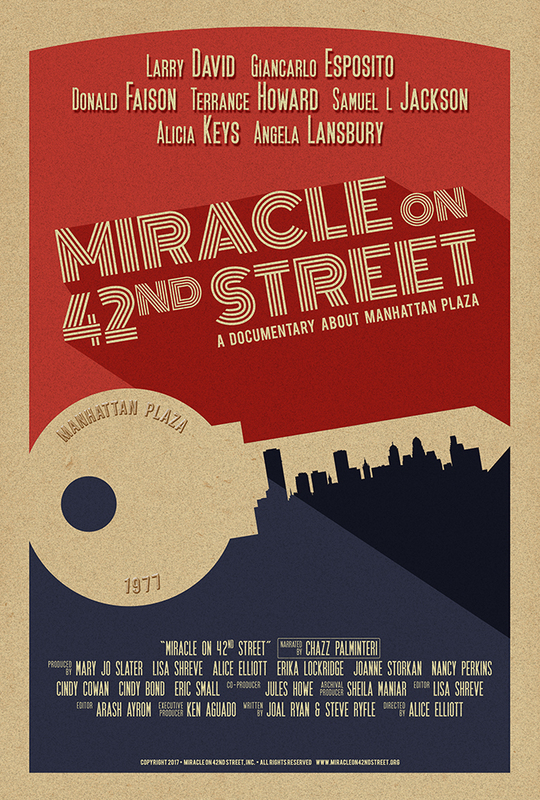 Miracle on 42nd Street is a fascinating documentary about the history and impact of the Manhattan Plaza apartment complex in New York City. Starting with the history of the blighted Hell’s Kitchen neighborhood and the facilities’ initial commercial failure in the mid-1970s, the story recounts how – in a moment of bold inspiration or maybe desperation – the buildings were “re-purposed” as subsidized housing for people who worked in the performing arts. The social experiment was a resounding success in the lives of the tenants, as well as the neighborhood and local economy. The film makes a compelling case for both the value of subsidized housing for artists in America, as well as the value supporting the arts to the American economy. The film features on-camera interviews with people who’s lives were positively impacted by the complex, including Alicia Keys, Terrance Howard, Donald Faison, Larry David and Samuel L Jackson, Angela Lansbury, and many others.